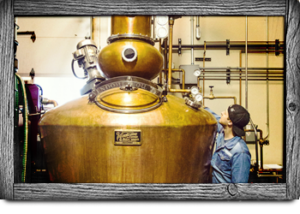 Come enjoy a behind the scenes look at Breckenridge Distillery! Enjoy a complimentary tour and tasting of our Classic Vodka, Gin, and Bourbon. Or upgrade your experience for $10 and taste a wider array of Breckenridge Distillery’s award winning spirits. Tours at our production facility on Airport Rd are available every day of the week during retail business hours of 11am to 6pm. Currently, they are offered on the hour :00 and half-hour mark :30. Tours are given on a first-come, first-serve basis, and are limited to 10 people for safety reasons. No formal registration is required, though this is subject to change in the coming months.